Mike Robinson, of Belchertown, Mass. 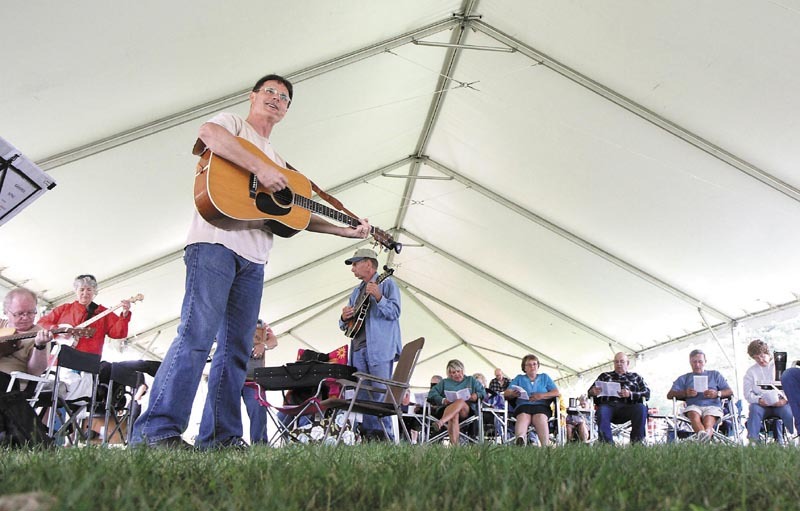 leads in the singing some hymns under the big tent on Sunday morning at the 40th Blistered Fingers Bluegrass Festival at the Litchfield Fairgrounds. Robinson and his wife, Mary, not shown, travel the country to bluegrass festivals to share the gospel both in word and in song.